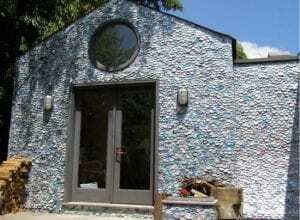 Home » News and Updates » Check out this house made with 22,000 flattened aluminium cans. 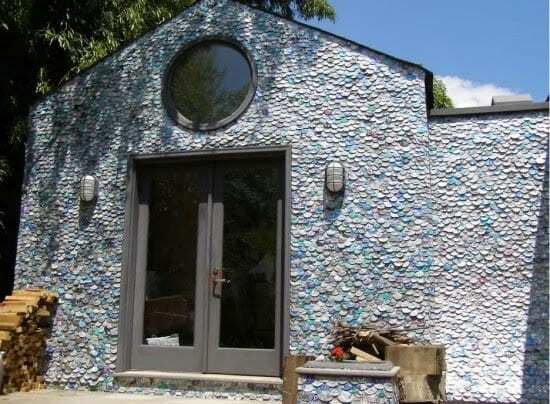 Check out this house made with 22,000 flattened aluminium cans. 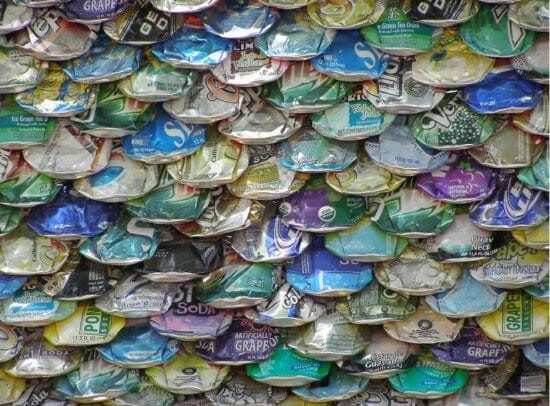 Aluminium cans are one of the most readily recycled items that we throw away, but this idea had nothing to do with art or the environment, as Richard Van Os Keuls, an architect from Silver Spring Maryland was simply looking for a cheap and durable alternative to conventional materials. Preparation was simple: first each can was stomped, then flattened further with a sledgehammer, then the corners rounded for safety. When ready, Richard simply placed 30-40 cans overlapping each other and secured them with a long aluminium nail. The original intention was to paint over the cans, but as the wall started to take place, the bright mosaic looked better and better so cheap colourful beer and soda cans from around the world were ordered to incorporate as many different colours as possible. Richard says the walls are not noisy when it rains, and while aluminium tends to develop a chalky oxidation, the ink on the cans has significantly slowed up the process, so his can-covered home continues to be a colourful inspiration to architects and designers around the world.